To start go to your assignment. Click on Feedback in the side menu. 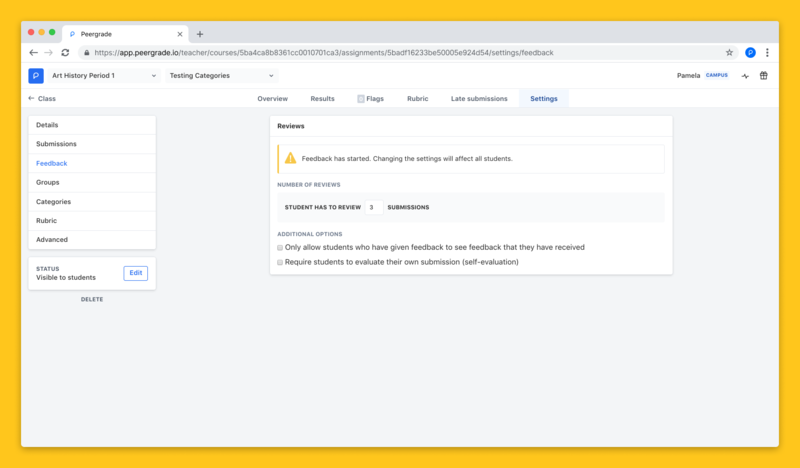 Type in or use the arrows to adjust the number of reviews a student is required to give. *Self-review is not counted in this number.